I thought the barbecue season was over, but a big bird obviously disagreed and decided to end it's life on my grill(e). Now I'm just happy I hit a bird and not a 500 kg moose! Tomorrow I will call ANA Begagnade delar, the brilliant Saab company which sells almost new parts taken from crashed cars and Saab test cars. 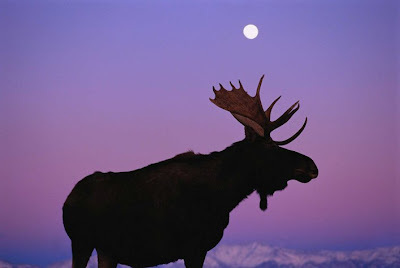 About crashing with a 500 kg heavy and two meter tall moose. 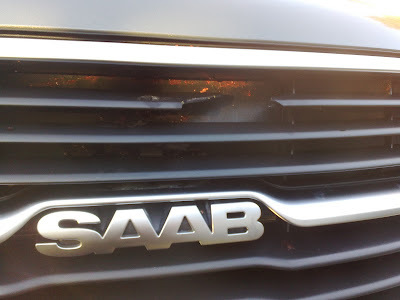 Did you know that Saab and Volvo are possibly the only car manufacturers who actually do crash tests against moose? 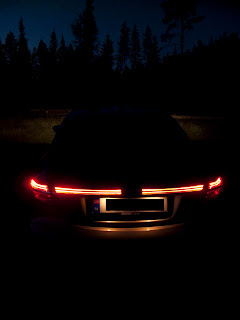 Another reason for sticking to Saab. 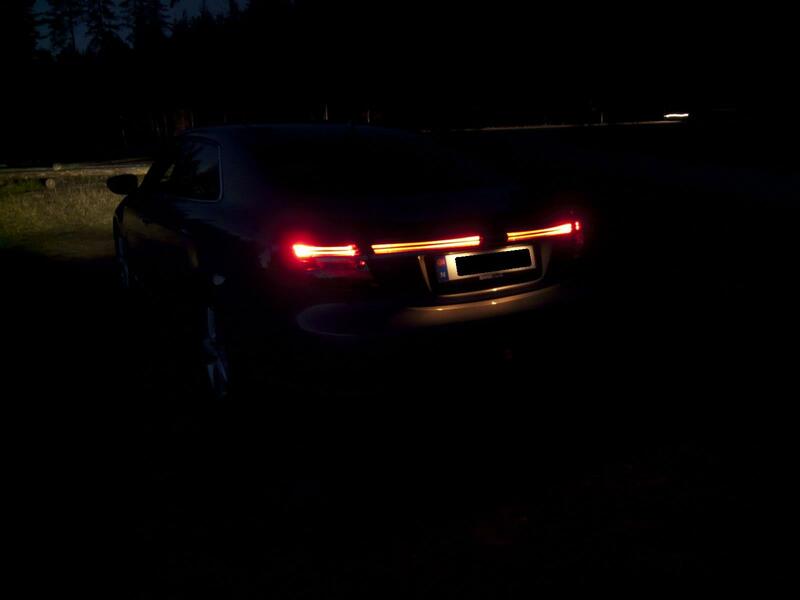 On Carl-Henrik's request, here are some pictures of the exterior lighting. 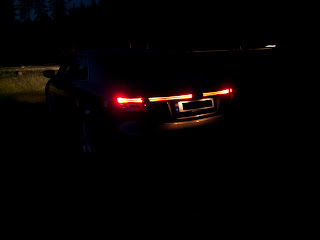 Some more pictures, incl of the Ambient interior lighting, will follow. 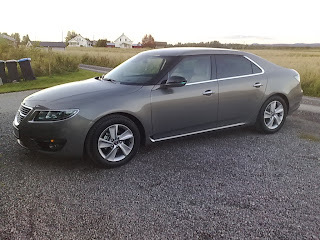 Here's some pictures of my new Saab 9-5. Enjoy. I got a couple of new books for some bedtime reading for the next.... eeeh.... month? 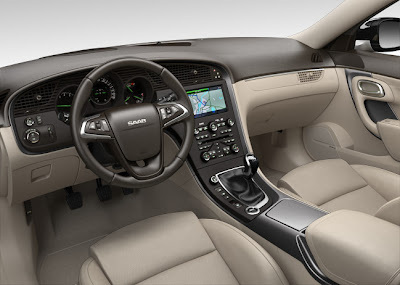 This car is packed with technology and I have no idea how to take advantage of it all. So now I need to read up on my new car! 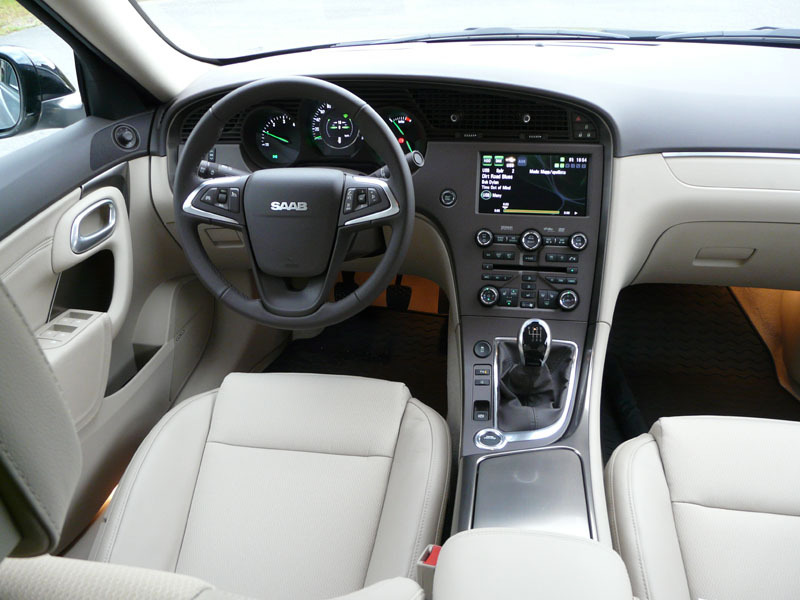 For instance, in theory I can control the audio and navigation system by voice commands. But how does it work? 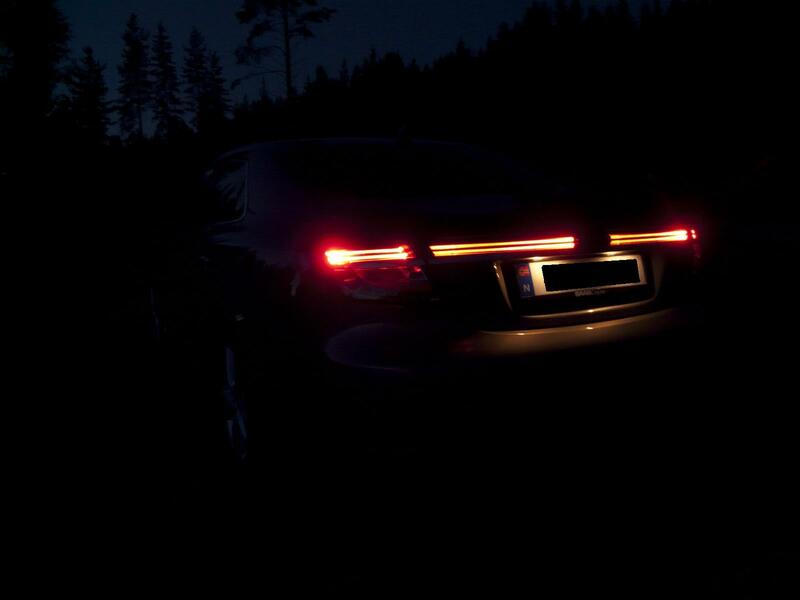 And what commands does the car want to hear? 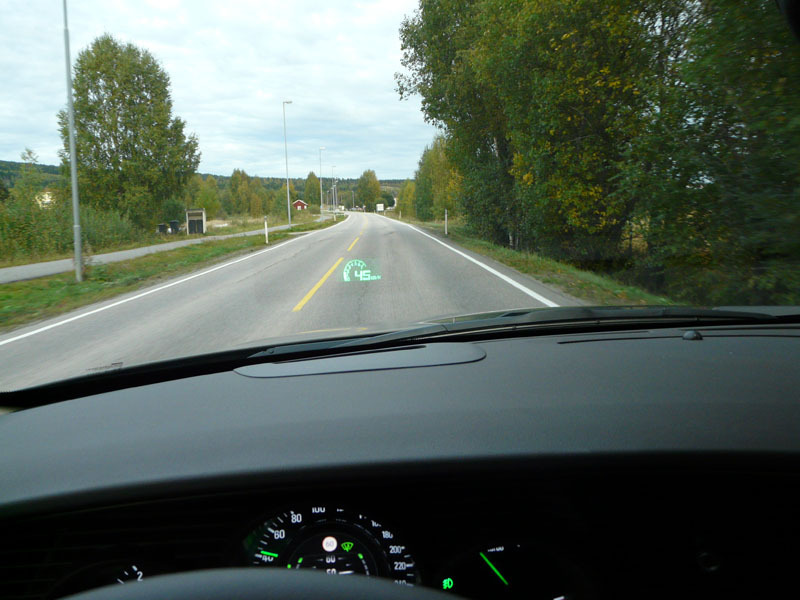 After several minutes talking to my car (I hope nobody heard me :), I was disappointed to learn that voice commands don't work in my native language, i.e. 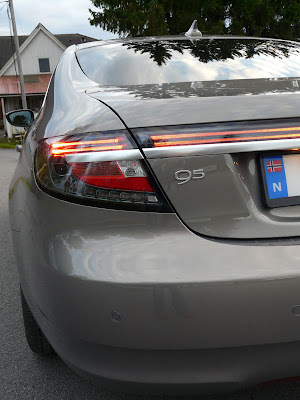 Norwegian, so now I need to speak Swedish or English to my car. And my stupid Norwegian accent is no good! 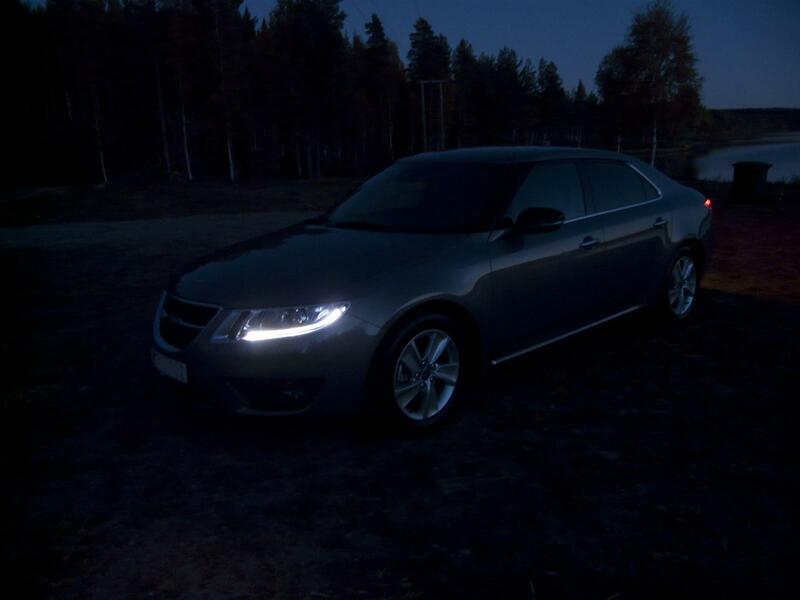 Finally here's my new Saab 9-5! Today I will get my new car! But what exactly am I getting? Or what am I supposed to get? 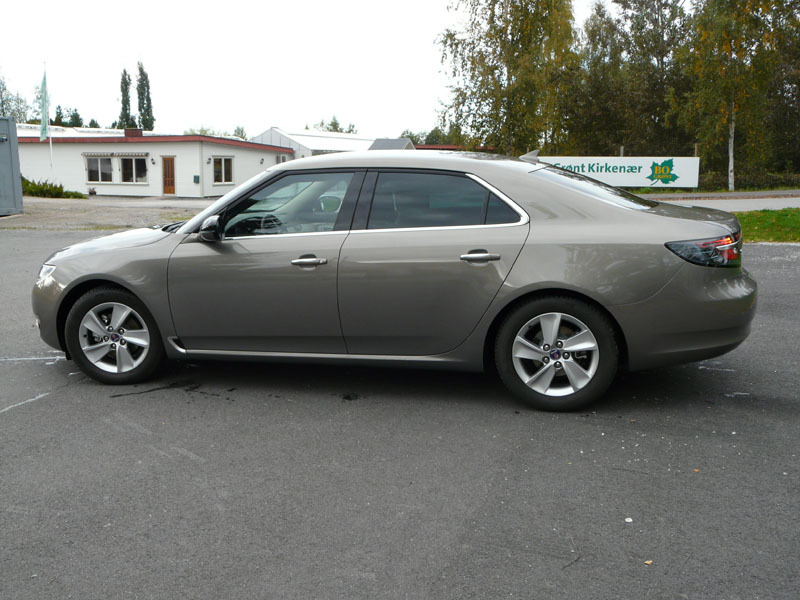 Tomorrow I will pick up my brand new Saab 9-5. Thankfully the dealer is taking care of most of the paperworks and he will get the car registered and get the number plates. 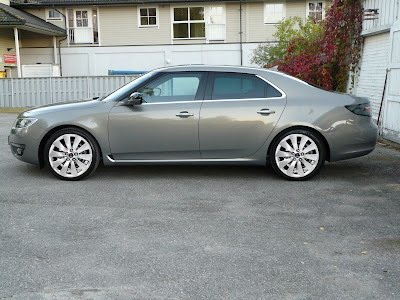 What I need to do today is getting the car insured and transfer the agreed purchase price to the seller. Since this is Norway, the purchase price is equal to something like a year's salary (before tax) or a small house! 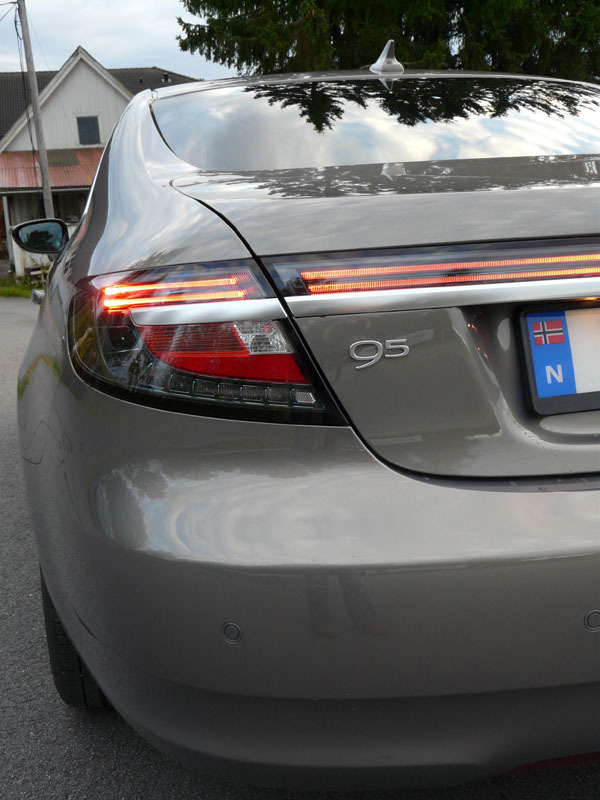 The car prices in Norway are crazy. We pay 25 per cent VAT, but in addition to that, we also pay a special car tax when the car is registered for the first time. 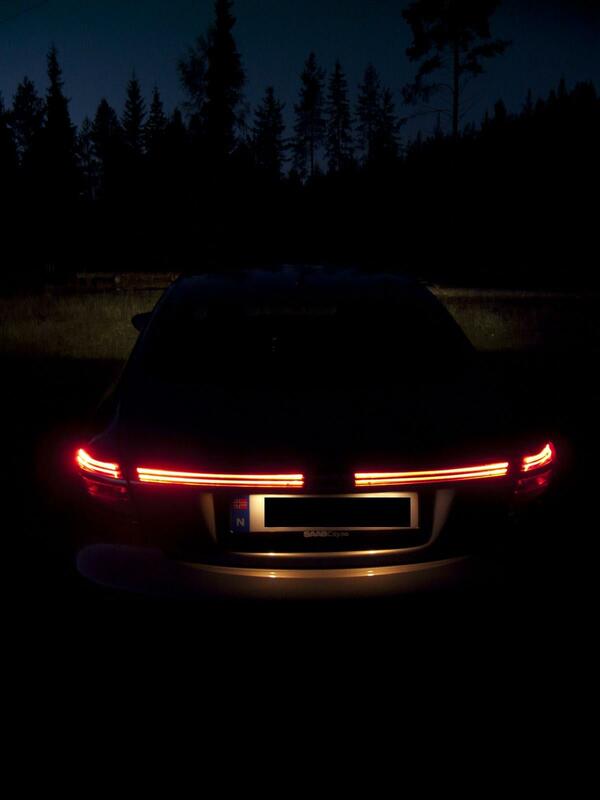 This special tax is calculated on the basis of co2 emission, engine kW and the curb weight of the car. This adds € 22 000 to the price! Alright, so while we are waiting for the new Saab 9-5 to arrive at my door, why don't we do a musical recap? 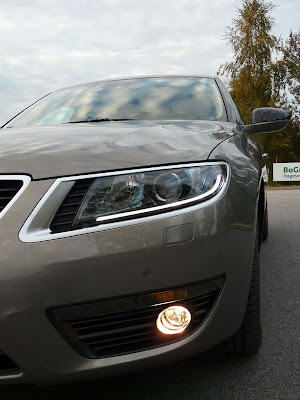 Remember the great TV advert for Saab BioPower from a few years back? There was a female singer who sang the song "Release Me". Or to be exact, the singer was female but she was part of a band. After the success with Release Me, Saab used yet another female singer in their next commercial. Let's fast forward to 2009. 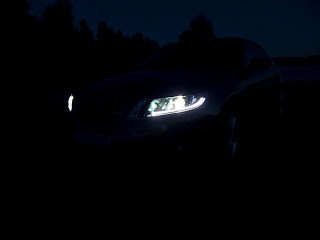 This time it was Swedish singer Asha Ali who provided the Scandinavian musical touch to the advertisement. Ok, let's wrap up this Saab musical recap with an introduction of the new Saab 9-5. This time the singer of the commercial song was Sydney Wayser. "Time for take-off" by Sydney Wayser. This is my first entry into blogging. 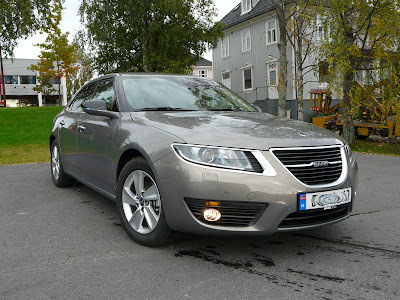 But it will be my third entry into a Saab. 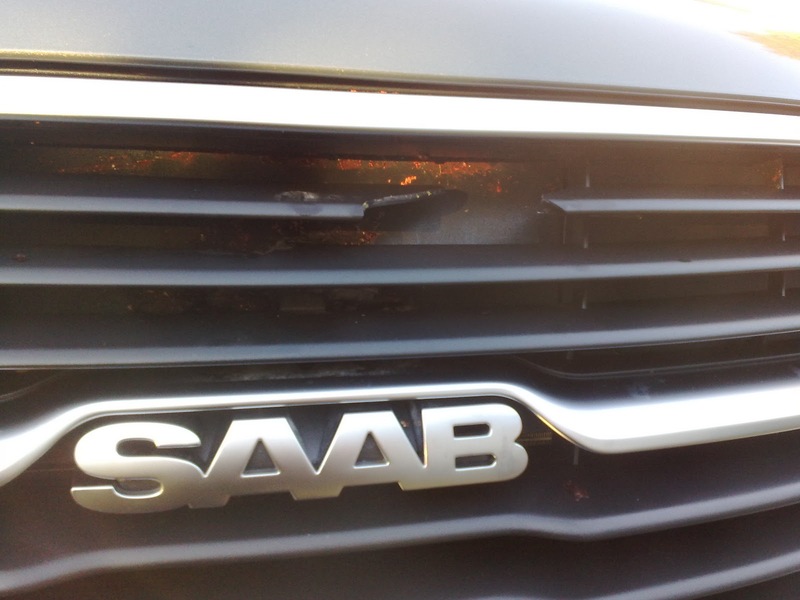 My previous two Saabs have been pre-owned cars. 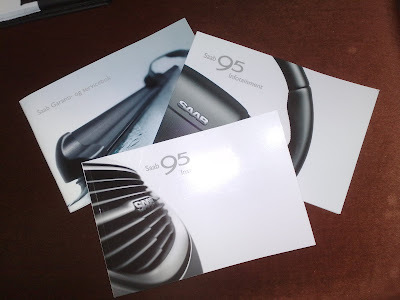 Now I'm looking forward to getting into an all new Saab 9-5. 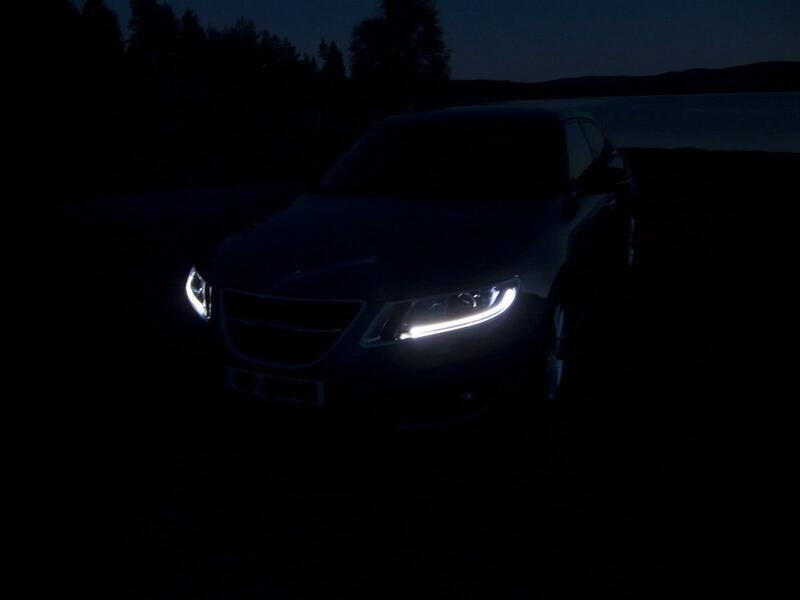 My very own Saab. Manufactured and assembled just for me! 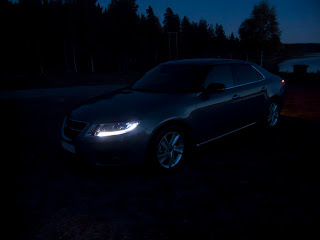 But delivery won't happen until Tuesday, so first let me tell you a little about my previous two Saabs. In 2001 I got a job where I had to commute 80 km five days a week. Snow, ice, sleet and rain could make my commute dangerous at times. I soon found out that I wanted to replace my 1991 Mazda 626 with a car that was safer. I narrowed my search down to three cars: Volvo S40, Audi A4 and Saab 9-3. My friend told me that I should avoid the Volvo ("since it was just a Mitsubishi in disguise") and the Audi ("because the quality was so-so"). 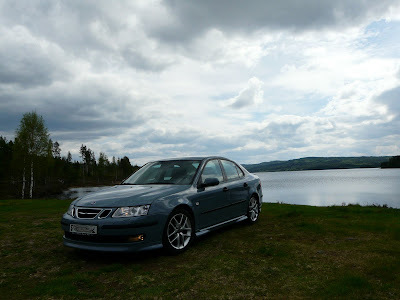 An August afternoon I went to test drive a 1999 Saab 9-3 two litre turbo with 154hp. It was a thrill! This particular afternoon the rain was drizzling and when I gave the car a little throttle the car spun like crazy. For the first time in my life driving became more than going from one place to another. 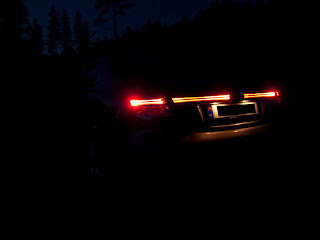 Suddenly driving was fun. The next year I spent some money to upgrade the car with an Aero trunk spoiler, Aero 17 inch rims and Viggen front spoiler, rear lower spoiler and side skirts. 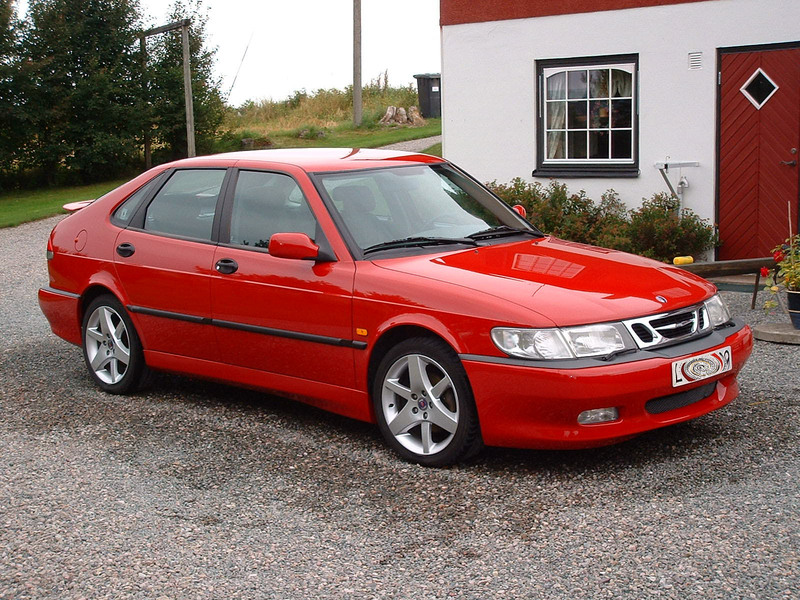 In the fall of 2002, Saab introduced the Saab 9-3 Sport Sedan. I thought it looked great. 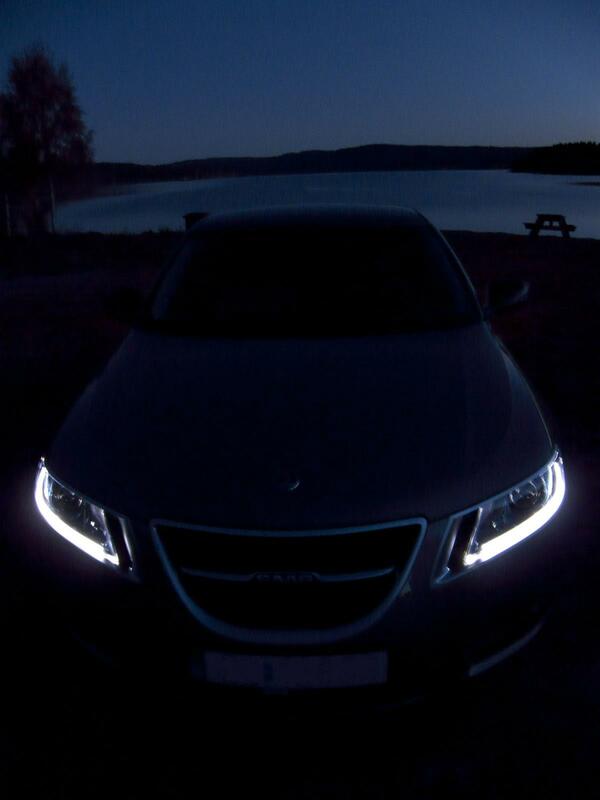 But I was still in love with my first Saab. 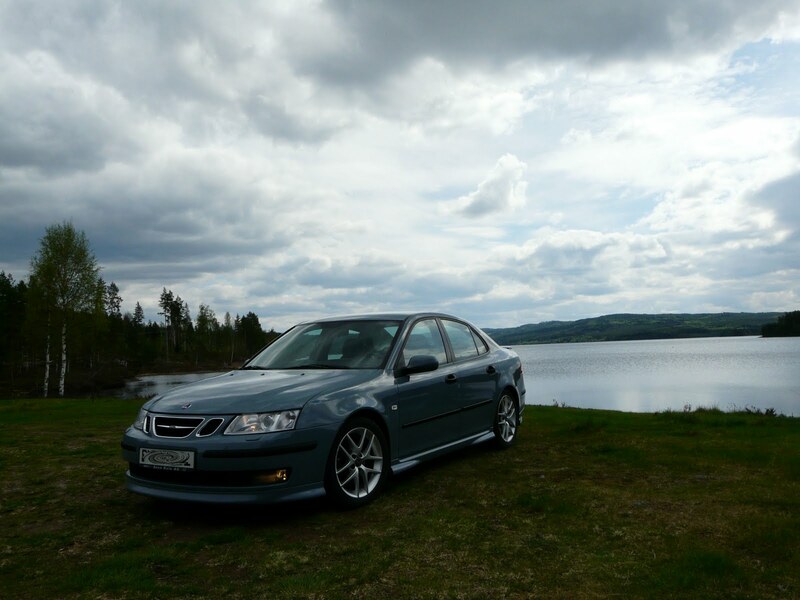 Then in the winter of 2003 I came across a nice looking Saab 9-3 for sale at an online market place. But the pirce was a bit high. A couple of months later the car was still for sale, but now the price was much more appealing! And in January I became the proud owner of a Saab 9-3 Vector 1.8t. The exterior color of the car was called Dolphine grey, and soon I just called my car Dolphie. During the winter I upgraded the car with an original performance spoiler kit by Saab and new Aero rims. And when spring arrived, Hirsch did a little magic on Dolphie. Me and Dolphie went to Sweden lots of times. We even drove to Trollhättan, the home of Saab. Every time we drove down there I'd pet Dolphie on the dashboard and tell him that I loved him and that he was back home at his birthplace. I loved my Dolphie because he looked extremely sharp. He had a great engine, great driving characteristics and he was truly unique. And I knew that if I was unfortunate and got involved in a crash, he would guard me with he’s own life and he would do it better than any other car on the market. My little Dolphie had a heart and a soul! 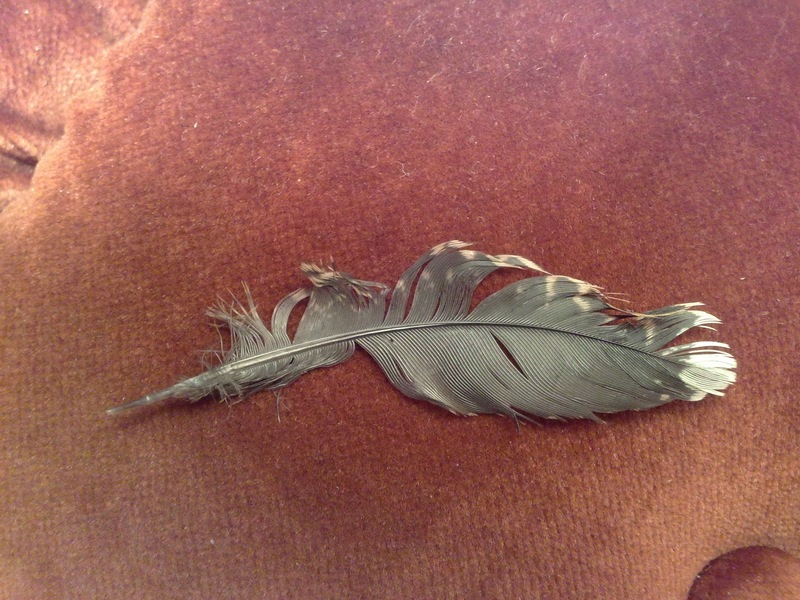 But in June this year it was time to say goodbye. 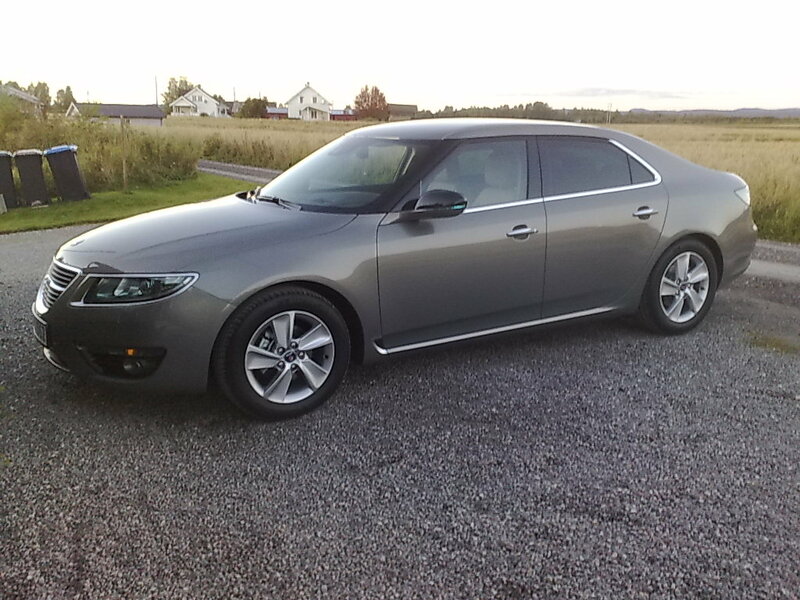 I had decided to replace Dolphie with a new Saab 9-5. 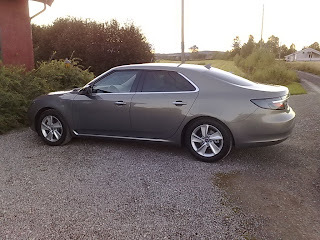 In July I finally got to test drive the new car and I placed an order. Now it's been two months of impatient waiting. To quote Tom Petty: "The waiting is the hardest part".